X2 Web Hosting Review 2019: Is X2 Web Hosting a Good Hosting? 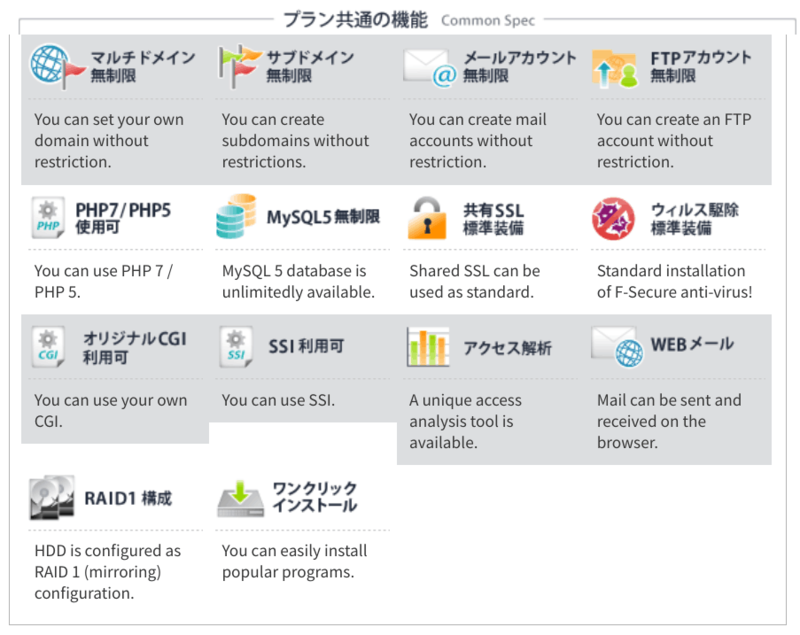 X2 Web Hosting is a Japanese website hosting provider that uses SSD-based servers located in Japanese data centers. They have a generous free trial. X2 Web Hosting is a Japanese web hosting services company. They are part of X Server, a leading hosting company founded in 2004. Their website and support are available in Japanese. X2 Web Hosting provides regular website owners with really high-quality technology. For example, all plans come as standard with SSD RAID 10: the latest in high-performance servers, with disk-reading speeds 48 times faster than HDD. For beginners, X2 also offers a one-click installer but sadly no website building tool. More advanced users can benefit from the PHP (5 and 7) support as well as Joomla and Drupal. They don’t support other advanced coding languages such as Ruby or Python. Although they only offer two plans, even the basic plan comes with pretty substantial benefits including unlimited domains, subdomains, FTP accounts, mail accounts, databases, and 100 GB disk space. X2 Web Hosting is relatively expensive compared to other Japanese and international hosting providers, and the costs are increased further by the setup charge equal to approximately two months’ hosting fees. However, you do get lots of features for your money such as the SSD RAID 10 configuration and unlimited resource quotas. For me, these value-added features make their services viable. You can sign up on three, six or twelve-month terms, and you get a bigger discount for a longer commitment. Somewhat confusingly, you are sent over to parent company X Server’s website to pay for your plan. If you’re not 100% sure that this provider’s plans are for you, you can take advantage of their 14-day free trial. Customer service is available from 10 am to 6 pm on weekdays, and you can contact them by phone or email (but not live chat). These times and channels are more limiting than I would like, but at least it’s clear. X2 Web Hosting is part of X Server: one of the leading Japanese providers of website hosting, with more than 1.5 million active websites. Wondering how X2 Web Hosting stacks up against other Web Hosting companies? Enter any other Web Hosting company and we will give you a side-by-side comparison.